GUEST ARTICLE: Catch the Amtrak California Zephyr train service and experience a cross section of the real America without being stuck behind the wheel or up in the clouds for hours on end. Flying across America is fast and cheap, but what do you actually see apart from runways and clouds? Driving isn’t for everyone either, particularly solo travelers on a tight budget and those that get freaked out by left hand drive automobiles. This is where the Amtrak California Zephyr train service comes in. Mention Amtrak to most Americans and they’ll either laugh or apologise profusely. It happened to me every time. Amtrak runs a number of train services across America. Many are crippled by chronic under investment and lengthy delays. The California Zephyr is different. Sure, it isn’t always on time as it shares the track with freight trains but any delays are more than made up for by the views. Check out Amtrak Delays to find out more about train reliability. The California Zephyr cuts through the heart of the Rocky Mountains, follows the Colorado River and climbs through the Sierra Nevada, making the ride from San Francisco to Denver the scenic highlight of the journey. Depending on your ticket, you can break your journey in a number of places such as Reno, Nevada (known as “The Biggest Little City in the World”) for some action on the roulette tables or hit the ski resorts in Salt Lake City for some world class skiing. Alternatively, if you want to take in the entire experience, from the comfort of your seat, compartment, the sightseer lounge/café car or the dining car, you can book a ticket that takes you from San Francisco’s Emeryville station to Chicago Union station – all possible in about 60 hours, or 2 1/2 days. The “sightseer lounge” features large panoramic windows and some seats that spin 360 degrees. This allows you to take in the view from both sides of the track. You’ll be able to take plenty of good photos as the train ambles along at a leisurely pace. To optimize your shots, find a clean window and wipe the glass down with a clean cloth to remove smears. Turn the camera flash off, select a fast shutter speed and keep your lens on or as close to the window as possible. Use a polarizing filter to eliminate any remaining glare and reflections. You’re bound to run out of snacks as your eyes and camera are fixed on the natural scenery outside the window, so put your name down early to reserve a spot in the dining car or head down to the café car. The Dining Car Steward will allocate a seat for you, which makes sure you mingle with other passengers. You’ll end up meeting a good mix of locals from many parts of the States, many eager to share their story. Many passengers I spoke to had never known that their country was so beautiful, as their previous trips were confined to endless stretches of tarmac or clouds in the sky. If you want some privacy and a bit of comfort, book a Superliner Roomette. It includes two seats, two pillows, a flip out table and a mini coat cupboard. It is a very small compartment but breakfast, lunch and dinner served in the dining car are included in the ticket price. The Sleeping Car Attendant will convert your seat into a full-length flat bed in the evening and will assist in making your journey comfortable. Don’t forget to leave them a small tip to show your appreciation (at least US$ 5). Find out how you too can Get on board the Amtrak California Zephyr train. Sounds like you have been in my neck of the woods. I never thought I’d be reading about my own region here. The Rocky Mountains really are something to see. Skiing is hard to beat here too. Anytime I go away, I miss those mountains more than anything. Hope you enjoyed your trip. Traveling by train is really a nice idea, we often neglect it but one can enjoy the real traveling in train. I like the description method of Pranav Bhatt. Its a nice article! I’ve never been on a train. But I’ve been thinking about looking into it for our big move to Cali next year. I think it would be really cool to see the landscape change. This is a big step up from the Amtrack trains I used to ride. Makes me wish I lived closer so I could take that trek. Years ago, I’d “get stuck” riding Amtrack, which was the train equivalent of a Greyhound buss. Noise, dirty, boring, always late, smelly, you name it. I’m glad to see the company is taking positive steps to keep rail travel alive. we in india have trains, bigger network! and its best to go on a vacation in a train! its awsome! Great post! Can’t wait to get to so many places you talk about here! Congratulations on a great blog, beautiful and very useful. i just did the california zephyr route and also got many laughs and apologies from americans about the trains there – but i’m from the uk so i’ve seen far, far worse! i’d done london to vladivostok by train so by comparison the zephyr route was quite short, but it was so scenic and interesting. in russia you got alternating taiga forest and steppe, which was lovely but a bit repetitive – the scenery on this route was spectacular and having a proper observation car was great. I have taken short trips on the Amtrak Capital Corridor from Sacramento to San Jose & it’s enjoyable, but very urban in a lot of places. Though you do get to see more of the farmland & marsh area than you would in a car. We are planning to take our first LONG train trip from Sacramento to Iowa for christmas. I can’t wait. 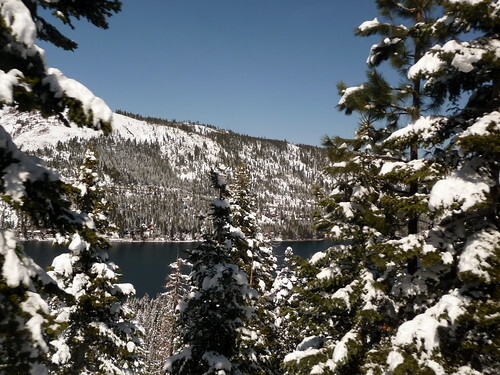 I do love hearing about your enjoyment of my neck of the woods (the Tahoe / Sierra area). What I love most is the beauty of this area & the mountains. The rockies is my next favorite place. So this trip should be wonderful to share with my 4yr old & husband, to see things & places we haven’t on our few road trips. Thank you for your comments & we hope to have an enjoyable adventure! Just wondering does the California Zephyr run all year round? Let’s take January for example, does it have problems with snow? The California Zephyr does have service year round and the trip through the mountains in the winter is a spectacular experience. One stop that is well worth making is Sacramento, California, BTW, to visit the Railroad Museum in Old Sacramento near the Amtrak Station. The Museum is well worth visiting and Old Sacramento can be fun as well. When traveling from Sacramento to Reno, Nevada on the Zephyr, they often have a guide on board who will talk about the history of the building of the railroad through that portion of the mountains. I travel by Amtrak whenever it is practical. I refuse to go through the humiliation and hassle of TSA to travel by air unless I absolutely have to. Since I am retired, the slower travel by rail can actually be more enjoyable. I’m hoping to do USA coast to coast, starting in Chicago to iowa and nebraska. Then Denver and Rio Grande Railroad Then Durango and Silverton Railroad. Monument Valley, Grand Canyon, Flagstaff and onto Los Angeles. Then the Coast Starlight to San Francisco. 21 days in August. Any tips? weather etc. I live in Poland and in 2009 I travelled by California Zephyr from Chicago to Davis, CA during holidays in the USA. The trip was very interesting because of the spectacular views and talks with other travellers aboard. There was plenty of room onboard, coaches were clean (but quite old), the service was very friendly and the meals in the dining car were OK. I also visited the Railroad Museum in Sacramento. The retired railroad workers were serving the visitors. When I told them to a serviceman that one of the presented sleeping-coaches looked exactly like the one from the “Some like it hot” Billy Wilder’s movie he was really glad and convinced that I was right. Nice! I haven’t ridden that train , but spent about 28 hours on Empire Builder & absolutely loved it. I really hope they keep all the long Western trains going. It would be a tragedy to lose those trains!